Stains are a real bore and chore. You could be having a pleasant dinner and suddenly drop a fork covered in sauce on your favorite dress. You could be playing outside with your kids, only to find out that your knees are covered in grass stains. You could be kissing your loved one, only to realize that the makeup has left a mark on the collar. Even worse are the grout and tile stains in your household, that just love to appear in dark areas, and present an ugly sight due to mold and mildew. All these annoying cases require that you know some efficient stain removal techniques. Apply a laundry detergent directly onto the grass stain, and then rub it in. Allow the detergent to sit for about 15 minutes, then wash it as you regularly would. You can also rub in alcohol, as it loosens the green pigment from the grass. Use a sponge that is damp with alcohol to rub the grass stain. Leave it to dry, rinse it with cold water, then do the previously mentioned technique with laundry detergent, only to rinse it with cold water again. Once the wet area is dry, wash it. Finally, you can use a mixture of plain white vinegar and water. Just make sure it’s not fruit vinegar. For light-colored clothing, use a mixture of ¼ cup of bleach, ¼ cup of peroxide, and ¾ cup of cold water. Rub it into the stain, then leave it to sit from 30 minutes to an hour. Then rinse it with cold water and wash it. You can gently try to brush or blot away the stain. Make sure that you do it carefully so that you don’t spread it. If not, you should apply a dry-cleaning solvent, and then use a dry spotter. Place a piece of cloth that is soaked with the dry spotter over the stain. Make sure that you check the stain from time to time. Before you change the pad, you can do some tamping, which is basically applying light strokes to the stained fabric. Keep using the dry-spotter-soaked cloth alternatively with tamping in order to completely remove the stain. Make sure to leave your clothing to dry afterwards. If the stain is still there, repeat the tamping and soaking procedure. You can also use a wet spotter and a bit of ammonia. Once the stain is finally gone, make sure that you rinse the area with water in order to remove any residue. Then wash the clothing. According to tile and grout cleaning Perth based experts, a cost-effective and safe solution is to make your own grout stain remover. Use a bucket to mix up one part bleach and one part baking soda. Apply this paste onto the grout and let it sit for a couple of minutes. Then use a grout brush, or even an old toothbrush, to scrub the grout. Use warm water to rinse the area afterwards. A great way to clean your floor tiles is to use a mix of two tablespoons of ammonia, two tablespoons of borax, and a gallon of warm water. Make sure that the floor is vacuumed or swept before you do the washing. A microfiber mop or a strong mop is what you need to clean ceramic tiles. In order to get the best results, make sure that you first rinse the wine stain with cold water. The best way to do this is to rinse the back of the stain. After you have done this, blot the stain with a clean white cloth and soak up any liquid that remained. Furthermore, you can put salt directly onto the stain and leave it to sit for a couple of minutes. After that, rub the stain while rinsing it with cold water. Repeat this process until the stain is no longer there. Finally, you can apply a liquid detergent to the stain. Make sure you rub it in, then leave it to sit for up to 5 minutes. After that, rinse it with cold water. If you want, you can also use a stain remover stick, spray or gel. Wash the clothing in the end. Stains are a real annoyance, but they don’t have to ruin your clothing or household if you treat it right. 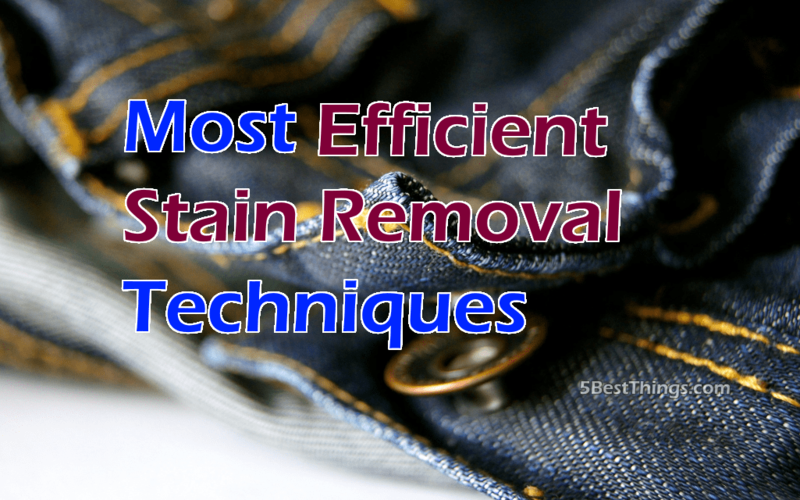 Use the techniques discussed in this article in order to get rid of some of the most common stains out there. They are bound to have the desired effect, and make this nuisance forgettable.